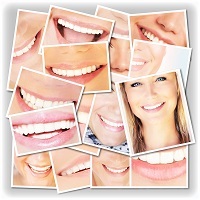 A beautiful smile is the goal of many patients in the Northeast Philadelphia area. In the past, patients believed aesthetic dental services were only available to the Hollywood elite. However, this couldn’t be further from the truth! Patients can visit a cosmetic dentist to learn about how affordable treatments can be to help achieve beautiful, healthy smiles. One practice that can help is that of David Spilkia Family and Cosmetic Dentistry. Teeth whitening – a brighter smile is just an appointment away! Our team offers effective in-office whitening services, as well as, take-home trays to bleach teeth in the privacy of one’s own home. Orthodontics – patients with mild to moderate malocclusion no longer have to visit an orthodontic specialist they do not know or trust. Treatments can be done right in our office using solutions; such as Invisalign or Six Month Smiles. Dentures – replacing missing teeth with dentures can be done for patients seeking an economical solution. We provide both full and partial dentures. Porcelain veneers – covering imperfections with ceramic facings is a great way to achieve a more beautiful smile. Porcelain veneers are incredibly popular with our patients who are ready to disguise problems with the anterior teeth including shape, size, discoloration, and gaps. Composite resin bonding – an alternative to porcelain veneers used by some of our patients is composite resin bonding; a material matched to tooth color and mimics the appearance of enamel. It can be applied in place, hardened, and polished down to disguise imperfections. Dental implants – replacing a missing tooth is easily achieved with dental implants; titanium metal posts made to act as tooth roots and covered with dental crowns to function as natural teeth. Dental bridges – one or more teeth within the dental arch can be replaced using a dental bridge; crowns fused to false teeth called pontics to create a single restoration. Dental crowns – also known as caps, dental crowns can restore teeth by adding an extra layer of protection, fusing to false teeth to create dental bridges, or to cover a dental implant to act as a too replacement.